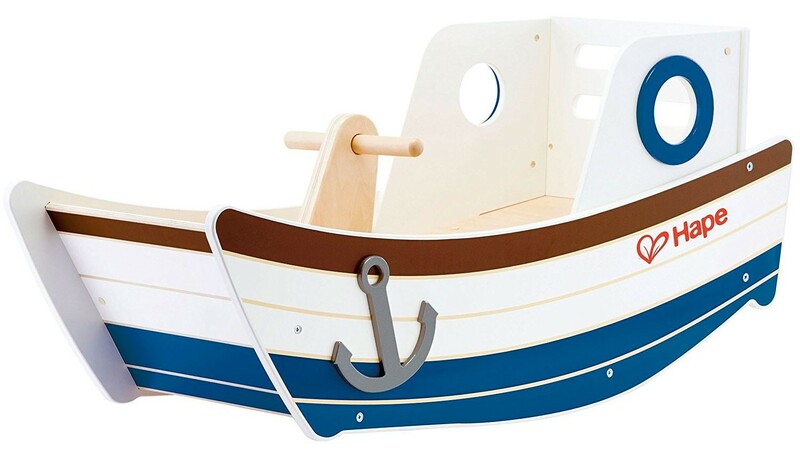 Cast off from shore to teeter and totter on the ocean waves with this rocker from Hape! 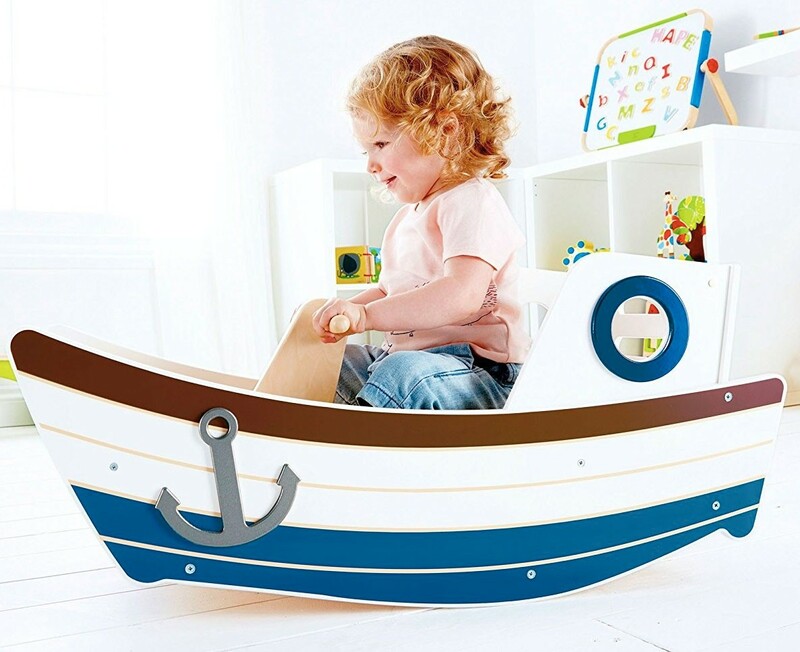 This nautically inspired teeter-totter is perfect for the little explorer in your life. With a bench style seat and supportive back piece for added comfort (and safety!) 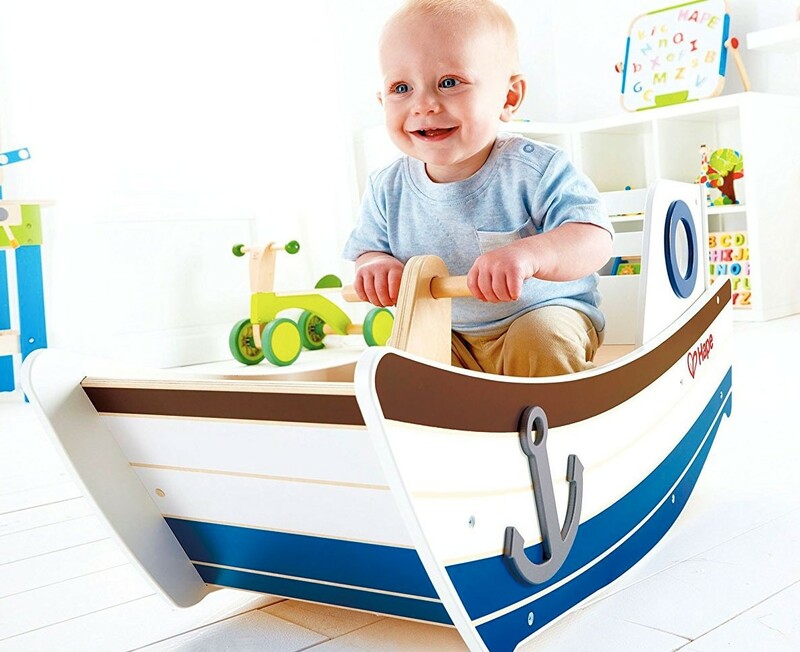 this is the perfect indoor play structure for your little one. 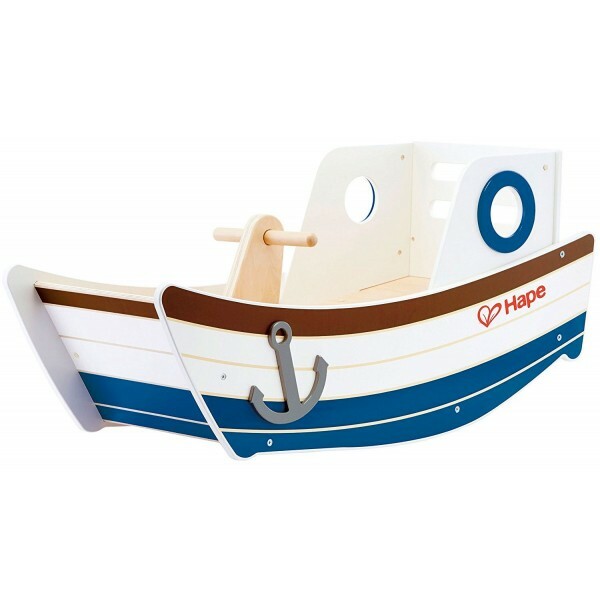 Like all Hape products, this toy is made from sustainably sourced solid wood and finished with non-toxic, child-safe inks.